A vast majority (67 percent) of U.S. parents of 5-to-18-year-olds describe their children as addicted to electronic devices. That's according to a new national survey conducted in October by GBA Strategies and unGlue, the screen-time management solution for parents and kids. The survey examines parents' experiences managing their families' screen time. The data, gleaned through interviews with 394 parents nationwide, sheds light on both children's screen-time habits and parental attitudes toward those habits. 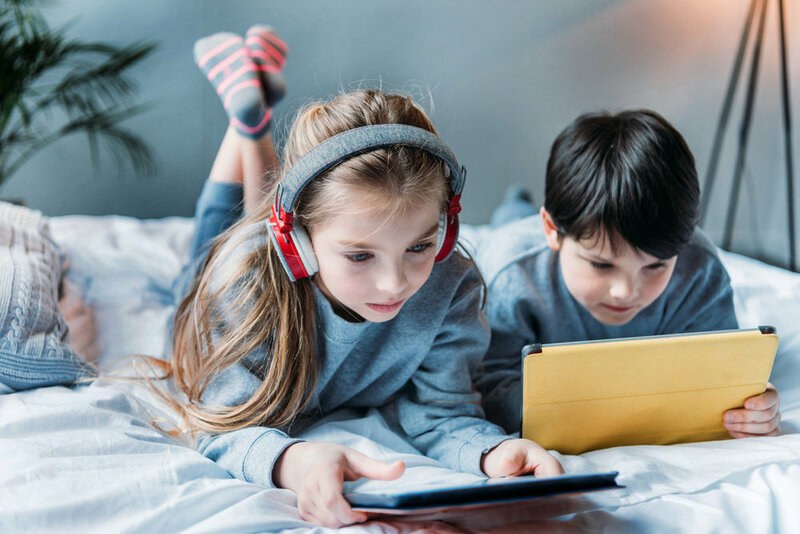 "This data tells a story not just about the excessive screen time kids are being exposed to, but the toll that improperly managed screen time can take on kids and families," says Alon Shwartz, co-founder of unGlue. "The study confirms the conclusion many of us have come to anecdotally about the challenges parents face trying to foster participation in non-screen-related activities and carve out quality family time in their homes." The survey shows that nearly half of parents think their children spend too much time using electronic devices, and more than half say their children often use electronic devices during would-be family time, such as meals. In fact, 75 percent of parents wish devices would never or rarely factor into family time. "It's interesting to note, however, that as dissatisfied as parents are with how screen time is affecting their households, only about one third say they are currently limiting it for their children," observes Shwartz. "It's not clear whether these parents simply want to avoid conflicts over screen usage or just don't know how to effectively put boundaries on it." One of the study's more counterintuitive findings is that parental anxiety about digital device usage increases with children's age. Three out of five parents with offspring aged 15 to 18 say their kids spend too much time with their devices, and nearly eight in 10 say they are addicted to them. Social media is the single biggest screen-time draw for teens in this age group (making up an estimated 18 percent of their daily usage), with texting and TV close behind at 17 percent each, according to parents in the survey. "The national conversation about overuse of digital devices has generally focused on younger children," says Shwartz. "This study reveals that the issue is actually of even greater concern to parents of teenagers." Another surprising result of the survey is that an overwhelming majority of parents recognize they have issues of their own when it comes to digital usage. Over two-thirds characterize themselves as addicted to their electronic devices and only 12 percent say they are doing anything to limit their own screen time. On average, parents estimate that their kids spend 4.9 hours a day on any type of electronic device. Thirteen percent estimate their children are exposed to 10 or more hours daily. Forty-seven percent of parents think their kids spend too much time in front of screens outside of an academic context. This group estimates that their children spend an average of 5.9 non-schoolwork hours of screen time per day. The biggest drivers of electronic device usage among children are TV and videos, followed by video games. Parents estimate that TV, video games, texting, and social media usage account for nearly twice the amount of time spent on homework, reading, and other educational activities.